• Stronger Uvb and Brighter Light: Twice As Strong As Standardreptisun 5.0 Lamps! 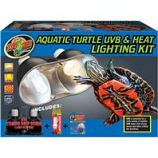 • Includes 100 Watt Repti Basking Spot Lamp and 5. 0 Uvb Reptisun Compact Fluorescent Lamp. • Basking Spot Lamp With Patented Computer Designed Double Reflector Focuses 35 Percent More Light In The Beam. 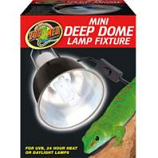 • Reptisun Fluorescent Lamp Helps To Prevent Or Reverse Metabolic Bone Disease Commonly Seen In Captive Reptiles. 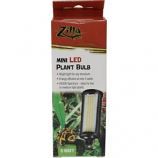 • Self-Ballasted Mercury Vapor Lamp Which Emits Uva, Uvb, and Heat All In One Lamp! • Quality Nickel-Plated Threads To Prevent Corrosion.